In Hong Kong, we put the spotlight on advocacy. The efficiency of Delos arbitration lends itself to strategic and sophisticated forms of advocacy, contributing to the overall quality of the process. This was tested by a panel of leading practitioners with experience of pleading in diverse dispute resolution fora. Their short bios are set out below, together with a few photos of the event and Delos's support of the Vis East Moot. 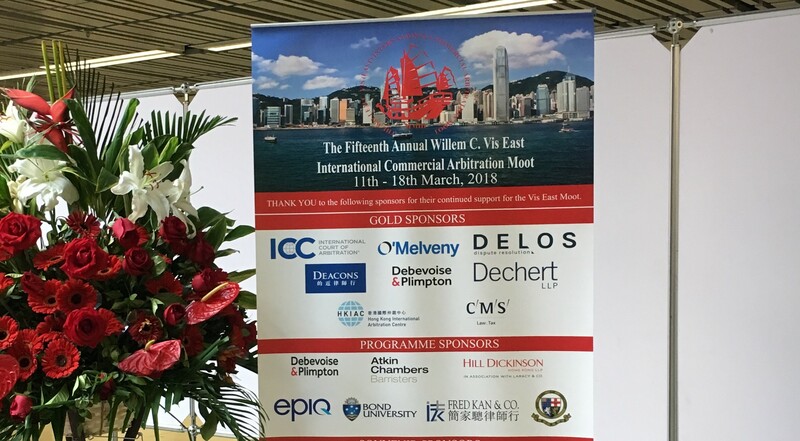 Delos was proud to support the 2018 edition of the Vis East Moot. From left to right: Thomas Granier, Neil Kaplan, Charles Manzoni, Simon Chapman, Anselmo Reyes, Hafez Virjee. 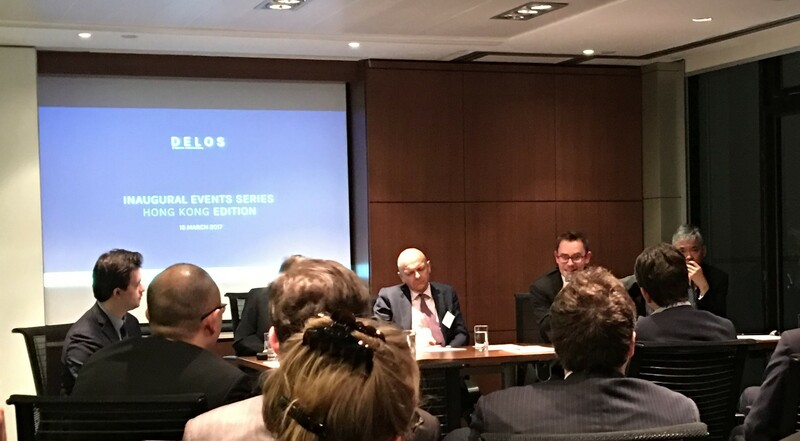 Presentation of Delos arbitration by Hafez Virjee. Panel discussion. 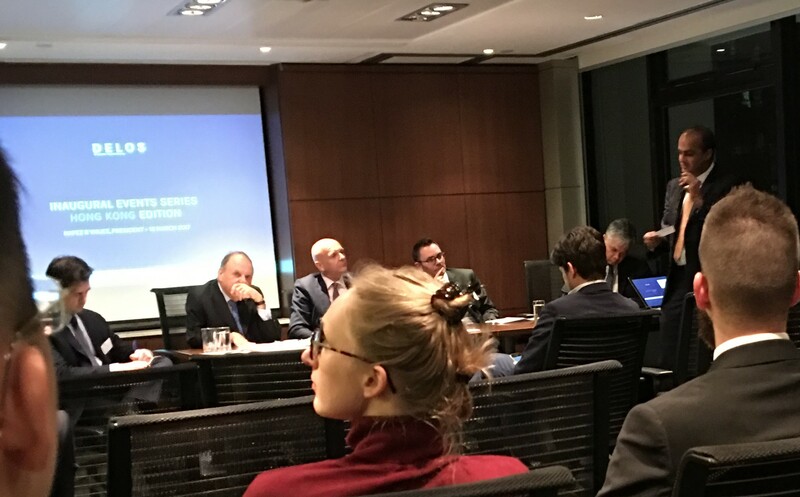 From left to right: Thomas Granier (moderator), Neil Kaplan, Charles Manzoni, Simon Chapman and Anselmo Reyes. Please find below short bios for the speakers at this event (in alphabetical order). For Hafez and Thomas, as members of Delos their bios are available on the team and committees page. 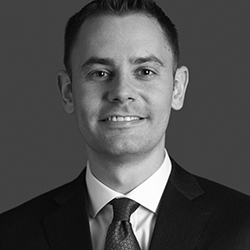 Simon has specialist expertise in international arbitration (including arbitration-related litigation) and advises clients from a range of industries, focusing particularly on disputes in China and South East Asia. Having been based in Hong Kong since 2011, Simon has acted as counsel before arbitral tribunals in numerous jurisdictions and under many of the main institutional rules (including HKIAC, ICC, SIAC, IAA, LCIA and ICSID), as well as in ad hoc proceedings under the UNCITRAL Rules and the Permanent Court of Arbitration Optional Rules for Arbitrating Disputes Between Two States. Simon sits frequently as arbitrator and also represents parties in arbitration-related court proceedings. 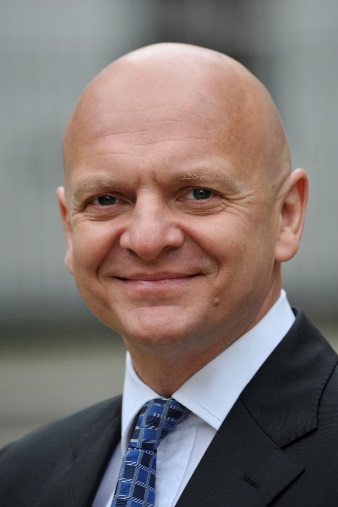 Simon is qualified in Hong Kong and England & Wales and has higher rights of audience in both jurisdictions. He was named Rising Star at the AsiaLaw Asia-Pacific Dispute Resolution Awards 2016 and is ranked in all of the major directories as a leading individual for international arbitration in Hong Kong. 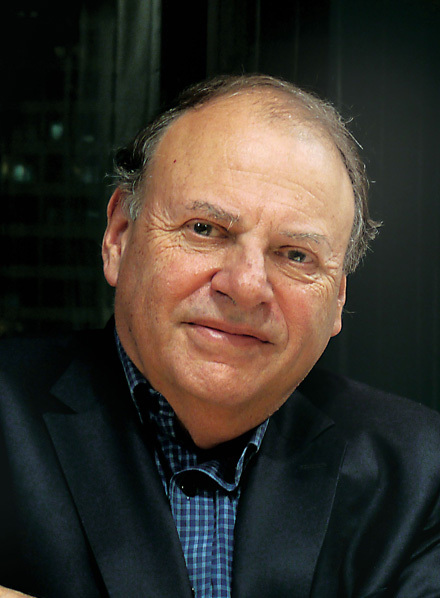 Neil Kaplan has been a full-time practising arbitrator since 1995. He has been involved in several hundred arbitrations as arbitrator. Called to the Bar of England in 1965, Mr. Kaplan has practiced as a barrister, Principal Crown Counsel at the Hong Kong Attorney General’s Chambers, and served as a Judge of the Supreme Court of Hong Kong in charge of the Arbitration List. He was Chair of HKIAC for 13 years and President of the Chartered Institute of Arbitrators in 1999/2000. Since 2017 he has been the President of the Court of the Mauritius Chamber of Commerce and Industry Arbitration and Mediation Centre. As a qualified Mechanical and Electrical Engineer, Charles worked in the international development department of a multi-national blue chip industrial company for five years before qualifying as a lawyer and entering private practice. Charles’s work involves mainly international litigation, arbitration and mediation across a broad spectrum of commercial work. He acts as counsel in the High Courts of London and Hong Kong, in international and domestic arbitrations, acts as a mediator and conciliator in cross border disputes and regularly sits as a sole arbitrator or as part of a three man tribunal. He was appointed QC in London in 2009 and SC in Hong Kong in 2012. 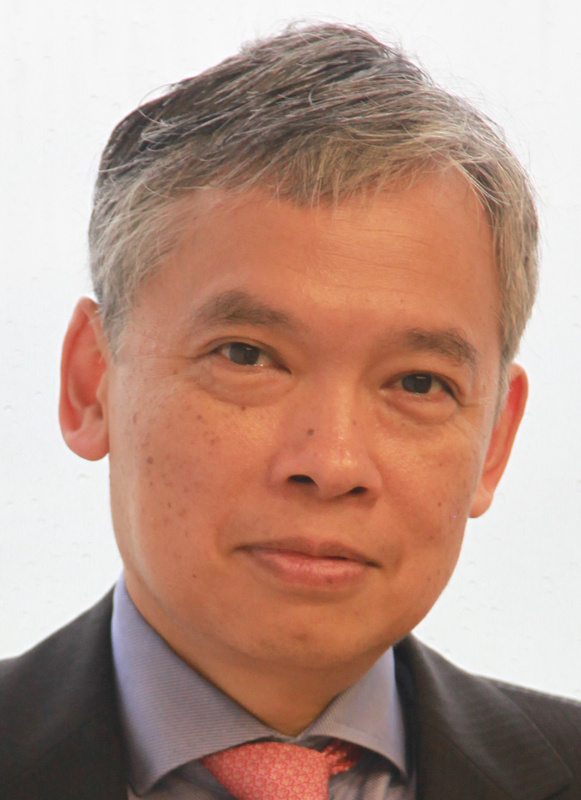 Anselmo Reyes has been Professor of Legal Practice at Hong Kong University since October 2012. Before that, he was a judge of the Hong Kong High Court from 2003-12, when he was in charge of the Construction and Arbitration List (2004-8) and the Commercial and Admiralty Lists (2008-12). He was Representative of the Hague Conference on Private International Law's Regional Office Asia Pacific from April 2013 to July 2017. He became an International Judge of the Singapore International Commercial Court in January 2015 and an Overseas Bencher of the Inner Temple in October 2015.